On the eve of The Fray's first UK headline tour, the million-selling quartet return on September 24th with the brand new download single 'All At Once'. Produced by Mike Flynn & Aaron Johnson - who also produced the smash hit LP 'How To Save A Life'. A dynamic, hook-laden track with relentless melody, it opens with Isaac Slade's soulful vocals before shifting gear into a soaring chorus of blistering guitar chords and lush piano keys. Another stage of the band's unprecedented global success, it's the third song to be taken from their platinum LP, which has already sold 2 million US copies. 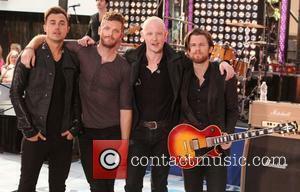 The Fray are: Isaac Slade (lead vocals/piano), Joe King (guitar /vocals), Dave Welsh (guitar), and Ben Wysocki (drums/ percussion). *26th GLASGOW, Academy - SOLD OUT! *27th LEEDS, University - SOLD OUT! *28th NEWCASTLE, Academy - SOLD OUT! *30th BIRMINGHAM, Academy - SOLD OUT! *31st NOTTINGHAM, Rock City - SOLD OUT! *1st MANCHESTER, Apollo - SOLD OUT! *2nd BRISTOL, Academy - SOLD OUT! *4th PORTSMOUTH, Guildhall - SOLD OUT! 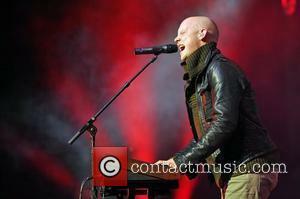 The Fray Ruin The National Anthem: Was It The Worst Ever?